Studio Neat released Highball, their latest iPhone app, today. It’s a cocktail app with an emphasis on sharing. As a result, recipes are designed around beautiful cards: visual recipes that are easy to parse and can be imported into the Highball app to save the recipe and even edit it to fit your own tastes. 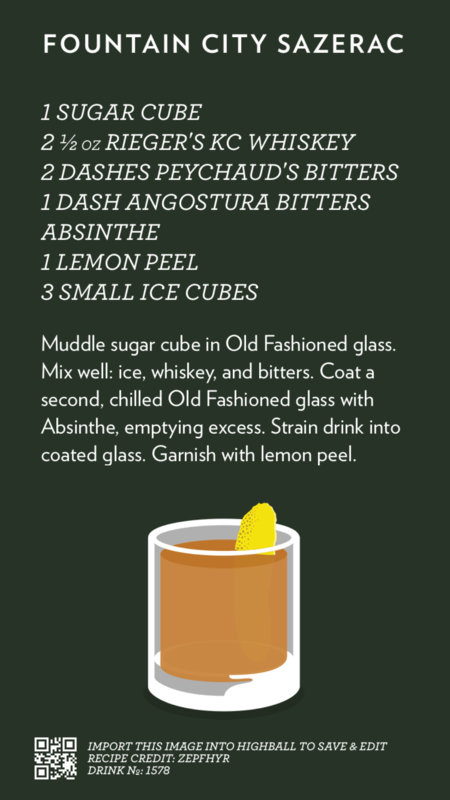 To get a feel for the app, I went ahead and made my own Sazerac recipe, with a Kansas City twist. And yes, I know that KC is technically the City of Fountains. However, this recipe name rolls off the tongue much better. Be sure to check out Highball – free on the App Store.